Los Angeles, CA—The fourth Lucie Technical Awards, an annual initiative of the Lucie Foundation and sister program of the Lucie Awards, will take place in New York City. The awards will be held on Thursday, October 25, 2018, during the PhotoPlus International Conference + Expo at the Jacob Javits Convention Center. There will be a 5:30 p.m. reception followed by the 6:30 p.m. awards presentation. 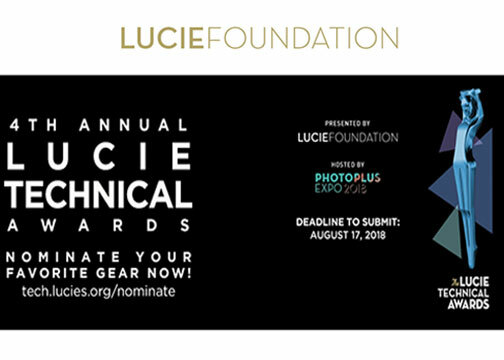 Held just prior to the Lucie Awards weekend, the Lucie Technical Awards embraces a large and critical segment of the photographic community. 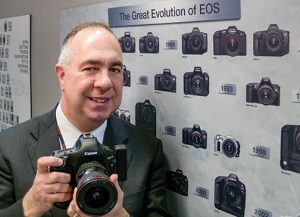 The awards honor the large and small companies as well as the individuals that have advanced the photographic industry in a particular year. All-inclusive, these awards intend to encompass items such as cameras, lenses and lighting as well as accessories, printers, software and more. In addition, this year for the first time, the Lucie Technical Awards will be presenting the Chuck Westfall Technical Education Award. The award is named in honor of the late legendary Canon spokesperson who was a “teacher of technology” to journalists and industry members for more than 35 years. Despite his long battle with cancer, Chuck Westfall remained a transcendent, authentic spirit who loved photography and the photo industry. This distinguished honor is bestowed on an influential voice in the photographic industry who displays an extraordinary commitment to as well as love for the art and technology of photography. Moreover, the recipient will have demonstrated a tireless effort to share their extensive knowledge with others, either through interactions with the media, written or published documents, as well as public appearances and presentations. The 16th Annual Lucie Awards will follow on Sunday, October 28, at Zankel Hall in New York City’s Carnegie Hall. Moreover, experts in the field of photography and members of the public can contribute to the nomination process. The goal again is to recognize and reward deserving companies and also individuals whose efforts have advanced the careers of image makers. Nominations are free and are open until August 17, 2018. To nominate, visit tech.lucies.org/nominate. In addition to the Chuck Westfall Technical Education Award, honors will be bestowed in the following categories. Camera, Best . . . Camera Accessory, Best . . . Lens, Best . . . Lighting & Studio, Best . . .
Software, Best . . . Storage, Best . . . In addition, ticket availability for the Lucie Technical Awards will be announced shortly. For the complete list of awards and to nominate, log onto tech.lucies.org/nominate. The Lucie Foundation’s mission is to honor master photographers, discover and cultivate emerging talent as well as promote the appreciation of photography worldwide. In addition to Month of Photography Los Angeles (MOPLA), the foundation presents year-round programming. This programing supports high school students through SNAPSHOP!, emerging as well as professional photographers through the Lucie Scholarship Program, and master photographers through the Lucie Awards. 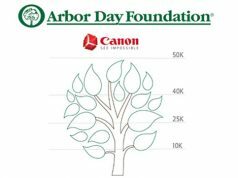 Furthermore, the Lucie Foundation is a 501(c)3 nonprofit charitable foundation.